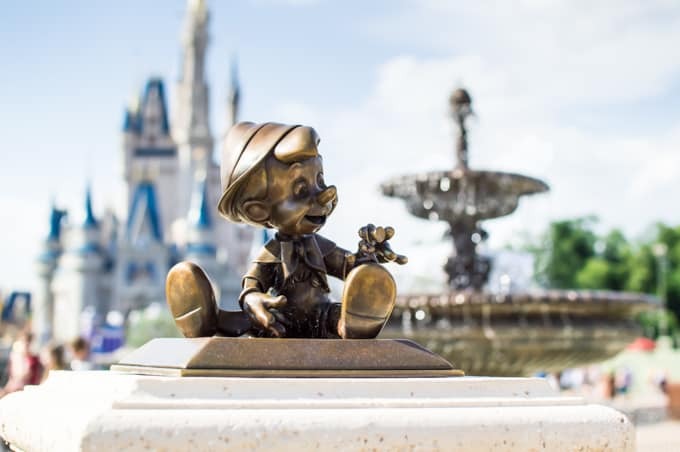 Plan a fun and stress-free Disney vacation by avoiding these five common Disney planning mistakes that every Disney goer has made at least once! Before Chris and I became Disney pros (and I use the word pro very loosely here) we made a lot of mistakes. From packing to planning our Disney routines were sporadic and not very effective so I never felt like we were getting the most out of our trip. 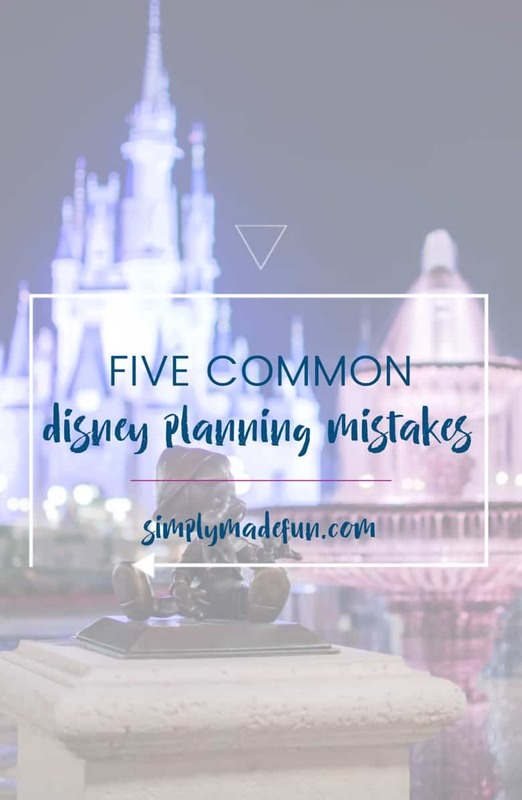 And so I wanted to go over common Disney planning mistakes every Disney goer makes (yep, even an old pro like me!) and what you can do to avoid them! This post contains affiliate links, meaning that if you make a purchase after clicking through Simply Made Fun may receive a small commission at no extra cost to you. Thank you for helping support my Disney obsession! When Chris and I first started going to Disney World we would plan our vacation spur of the moment and have less than twenty-four hours to pack and then catch our flight down to Florida. It was stressful (albeit exciting) and left us very little time to plan our days at the parks which sometimes caused a few issues. If you’re a first time Disney goer or even a seasoned one, we all make mistakes. The good thing is we can learn from them and move on. But if you’re planning your very first trip to Disney you want to avoid as many mistakes as possible so you can fully enjoy your magical vacation! So let’s talk about the five most common Disney planning tips you definitely want to avoid! While this may seem fun and really exciting, there are a few problems booking a trip this way. First off, you will not be getting the best deal money-wise, and if that is something that is important to you you’ll want to book a little further out so you can take advantage of the promotional deals Disney offers. Start looking for Spring offers in January, Summer offers in the Spring, and Fall offers towards the end of the school year. You’ll get much more bang for your buck that way! You probably won’t get the Fastpasses you want either because they’ll all be booked up. And if your little ones have their hearts set on Toy Story Mania at Hollywood Studios that could mean you’ll end up with really disappointed kids who have to wait in a 70+ minute line (definitely not fun). You can start booking Fastpasses 60 days out from your trip and it is so important to do it as soon as you’re able, because the more popular attractions go fast! Yes, it’s true! You can plan too much when it comes to your Disney vacation and that can also be a little stressful for everyone you’re traveling with! There are some things you should definitely schedule for (character dinning, special events, and fastpasses for popular attractions) but you should also leave plenty of time to relax and go with the flow. If you plan every single part of your day you could miss out on all the fun spontaneity! I’m a huge planner and love to know what parks we’ll be going to on what days, but I know that not everyone (aka, my husband) is like me. Some people just like to get up and do whatever they feel like doing that day, and that’s fine but not always a good idea. 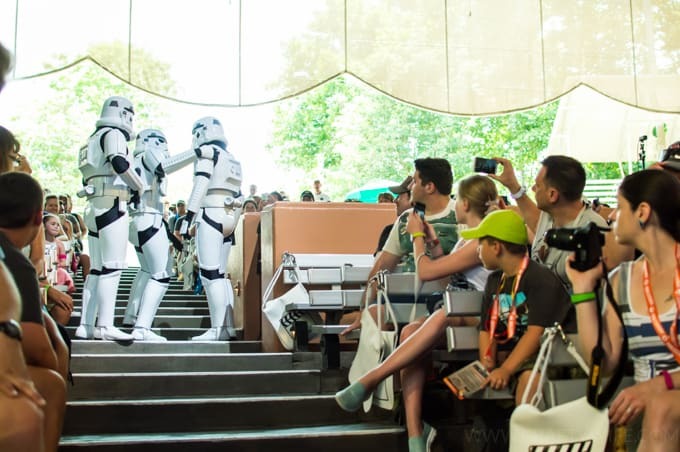 If there is a parade (or show) you want to see or special events going on at the parks that you need to be there early for you have to plan ahead to make sure you’re at the parks for it! For example, this year I really wanted to see the Motorcade Parade at Hollywood Studios during Star Wars Weekends. I had talked about it non-stop and Chris and I had planned on going long before we left for our trip. But the night before we stayed out really late and we were exhausted the next morning so we decided to get up a little later and not head to the park when it opened. Big mistake! We got there an hour before and every good spot for the parade was taken. Definitely a lesson learned for us! As a side note, for most parades arriving an hour early will still guarantee you a good spot. However, during special events like Star Wars Weekends or Mickey’s Very Merry Christmas Party an hour may not be enough if you want a front row spot. Oh my gosh, I am so guilty of this one because I overpack every single time. Did you know that Disney has laundry machines available (usually over by the main resort pools) that you can use any time day or night? Yea, we figured this out a while ago and yet I still overpack. Bring some cash, a little bit of laundry detergent, and dryer sheets and just do some laundry while you’re there. You’ll save space in your suitcase which leaves more room for souvenirs, which is a win-win in my book. Oh my gosh y’all, this one is so important! When Chris and I first started traveling to Disney I would wear those 2 for $5 sandals from Old Navy (I love those sandals!) and I could barely walk the next day due to pain, and Chris was the exact same way. I swear, walking ten or more miles a day with less than stellar shoes really took its toll on our feet. Finally I decided to upgrade our shoe wear and bought each of us nice walking shoes, and our feet have thanked us ever since. However, Chris still gets blisters so I finally found moleskin * which works wonders for him! Every time we head to Disney it has been a learning experience for us and we always find things we can improve on for next time. I don’t think we’re ever going to perfect going to Disney (especially now that we’ll be taking kids) but there are a ton of ways to make the trips more enjoyable if you’re willing to put in a bit of pre-trip planning! What are some common Disney planning mistakes you’ve made? Share them in the comment section below!